We had two families from Hong Kong – one Canadian, one Auzzie – with four kids under 10 and Caleb made our trip amazing! He’s not only the quintessential kind and super friendly Canadian you’d expect, but he’s surprisingly young given the amazing depth of his knowledge of his trade. I guess you get that having grown up in the area with a commercial fisherman as a father. Caleb was fantastic on all counts. His boat is big enough for 12 but not too big and extremely well equipped and comfortable. His trade knowledge and experience are nothing short of impressive and he never seemed to tire from the endless barrage of questions we threw at him and seemed to have answers for all. He was extremely accommodating and willing to adjust our agenda or tailor make our schedule to meet our desires (fishing, site seeing, etc) and went above and beyond our expectations to ensure we experienced the best the beauty and wonder of the area had to offer – like unexpectedly showing us the sea lions on a small island at the entrance to Barkley Sound or drawing in the Bald Eagles to feed while cleaning our fish. However the greatest appreciation we have of Caleb had to be in how he managed our kids. We brought them on this trip to gain those unique memories they would remember for a lifetime and Caleb cemented that. He was simply excellent and built an amazing report with all of them immediately and perpetually became more of a super hero to them with every nugget of wonder and wisdom of the natural world we came to see. Our kids were wide eyed from start to finish and quickly looked to Caleb like that cool uncle or cousin they never had but always wanted. They are still talking about it weeks later and I’m sure may never be forgotten. Thank you for the memories Caleb. You went far above and beyond! Here is what I can tell you about Mr. Cameron, he is a guide and a host like none that I have fished with. I have had numerous occasions to fish with Caleb and can only tell you he is an absolute master of the west coast! If you are considering any type of west coast fishing and want the absolute best then Caleb is your guide. His “fish sense” is remarkable and his skipper knowledge is unmatched. We have been on the water in tough conditions and filled the boat while others struggle. Caleb is the only guide we will use out of Ukee. Trust me when I tell you to book a trip of a life time! Caleb is a great fishing guide but he is also an excellent wedding guide! He took 4 land locked dreamers and found them the most perfect spot to exchange their vows..in privacy and perfection! The boat was SO comfortable and spacious, Caleb and his friend were awesome guides and the ‘extra touches’ provided were stellar. Thank you so much C. Can’t wait to do it again. Caleb has been fishing since before he could walk. He’s a great guide, competent operator, and all-round nice guy. Oh and the boat is much more comfortable than many of the other options available. We took our English in laws out on a trip with Caleb and it was an unforgettable experience and the highlight of their Canadian vacation! Caleb’s boat is very comfortable and clean and his local knowledge and charm are unbeatable!! Thank you so much Caleb!!! Caleb is unmatched in the fishing industry, he is a fish God!! Best trip ever! 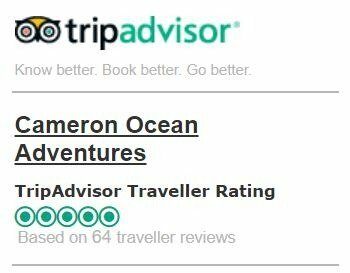 We’re a small independent charter and as such your reviews really help us get the word out. We really appreciate all your amazing feedback. Thank you to everyone who has taken the time to share a review!